This is one of the very popular temples in the Alibaug region. 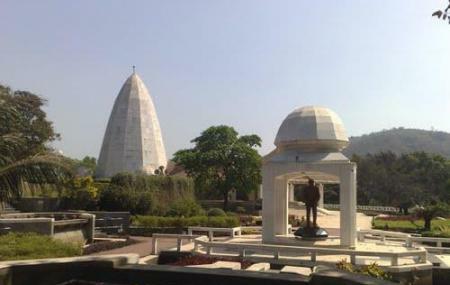 It is situated on a hill-top in the premises of the company VikramIsplat. It belongs to the prestigious industrial group- Birla. The temple is very well maintained and a treat to visit. The architecture is interesting and tasteful. The dominant ingredient used in its construction is white granite. The roof is made of transparent polycarp material. The scenery around the temple has been maintained very well. This place is highly recommended for those who seek tranquillity. Do not touch the idols. Leather-wear is not permitted inside the temple premises. Alibaug to Revdanda S.T. bus. Catch an auto-rickshaw from Revdanda. Hire a taxi from Alibaug (20kms). How popular is Vikram Vinayak Temple? People normally also visit Murud Janjira Fort while planning their trip to Vikram Vinayak Temple. Beautiful temple by Birlas. Must visit. The surrounding is Serene. No photographs. Camera not allowed inside the premises. Awesome place to visit with family. The main diety of the temple is lord ganesha and there are more 5 dieties beside it. And it is located on a very large area and you can have snacks below the temple the temple is surrounded by green grass and fountains.